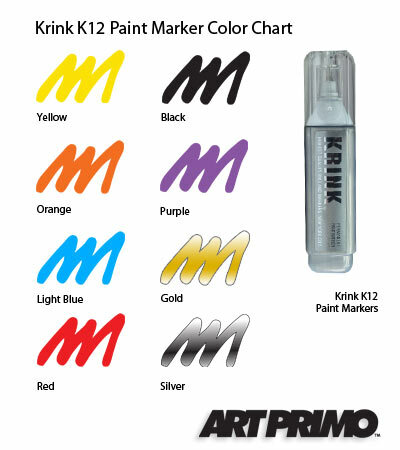 Krink K-12 Paint Marker *NEW* The K-12 paint marker is a unique marker featuring a durable steel tip with a squeezable body. 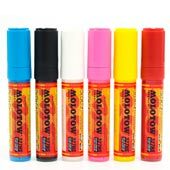 Similar to the Presto whiteout correction pens. 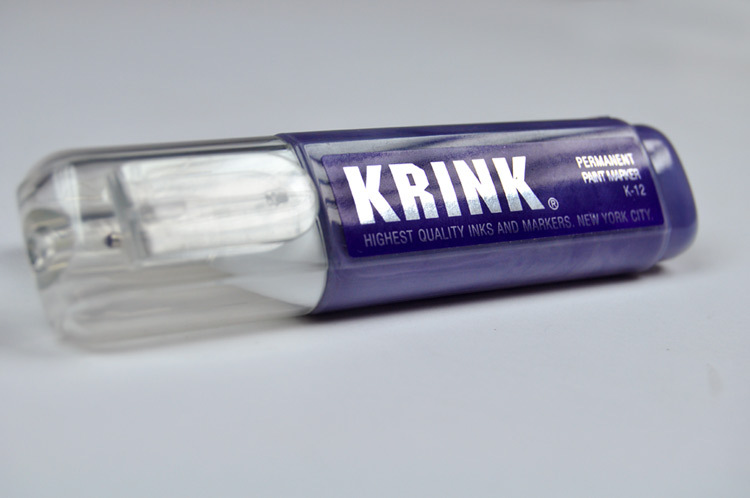 Filled with 12ml of rich, opaque Krink ink that can be used on light or dark surfaces. Writes on most surfaces: metal, canvas, painted surfaces, wood, glass, plastic, and paper. 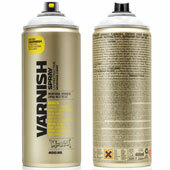 Great for a wide variety of art, craft, and industrial applications. Quick drying, highest quality, made in the USA. 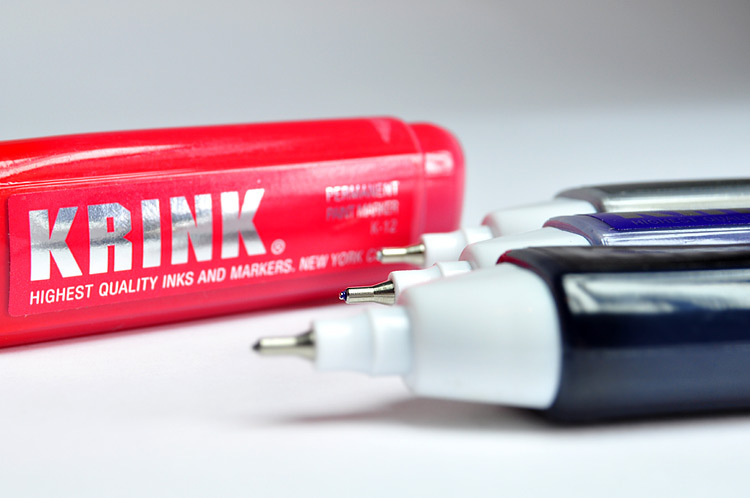 The K-12 paint marker is a unique marker featuring a durable steel tip with a squeezable body. Similar to the Presto whiteout correction pens. 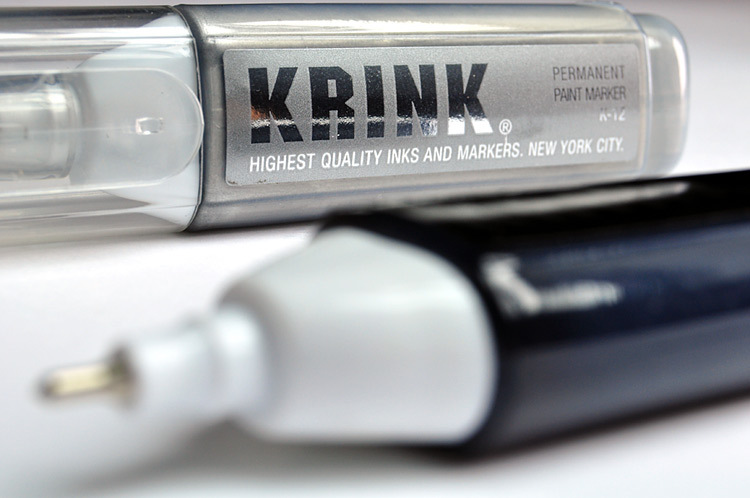 Filled with 12ml of rich, opaque Krink ink that can be used on light or dark surfaces. Writes on most surfaces: metal, canvas, painted surfaces, wood, glass, plastic, and paper. Great for a wide variety of art, craft, and industrial applications. Quick drying, highest quality, made in the USA. This product was added to our catalog on Tuesday July 27, 2010.